Inference in hidden Markov model has been challenging in terms of scalability due to dependencies in the observation data. In this paper, we utilize the inherent memory decay in hidden Markov models, such that the forward and backward probabilities can be carried out with subsequences, enabling efficient inference over long sequences of observations. We formulate this forward filtering process in the setting of the random dynamical system and there exist Lyapunov exponents in the i.i.d random matrices production. And the rate of the memory decay is known as $\lambda_2-\lambda_1$, the gap of the top two Lyapunov exponents almost surely. An efficient and accurate algorithm is proposed to numerically estimate the gap after the soft-max parametrization. The length of subsequences $B$ given the controlled error $\epsilon$ is $B=\log(\epsilon)/(\lambda_2-\lambda_1)$. We theoretically prove the validity of the algorithm and demonstrate the effectiveness with numerical examples. The method developed here can be applied to widely used algorithms, such as mini-batch stochastic gradient method. Moreover, the continuity of Lyapunov spectrum ensures the estimated $B$ could be reused for the nearby parameter during the inference. This entry was posted in Fall 2017 on October 26, 2017 by Kellie MacPhee. ABSTRACT: We consider minimization of stochastic functionals that are compositions of a (potentially) non-smooth convex function h and smooth function c. We develop two stochastic methods–a stochastic prox-linear algorithm and a stochastic (generalized) sub-gradient procedure–and prove that, under mild technical conditions, each converges to first-order stationary points of the stochastic objective. Additionally, we analyze this problem class in the context of phase retrieval and more generic nonlinear modeling problems, showing that we can solve these problems (even with faulty measurements) with extremely high probability under appropriate random measurement models. We provide substantial experiments investigating our methods, indicating the practical effectiveness of the procedures. 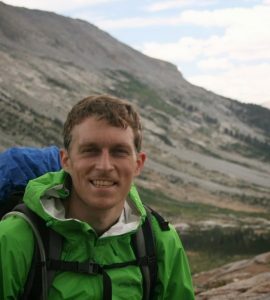 BIO: John Duchi is an assistant professor of Statistics and Electrical Engineering and (by courtesy) Computer Science at Stanford University, with graduate degrees from UC Berkeleyand undergraduate degrees from Stanford. His work focuses on large scale optimization problems arising out of statistical and machine learning problems, robustness and uncertain data problems, and information theoretic aspects of statistical learning. He has won a number of awards and fellowships, including a best paper award at the International Conference onMachine Learning, an NSF CAREER award, and a Sloan Fellowship in Mathematics. This entry was posted in CORE Talks, Fall 2017 on October 17, 2017 by Kellie MacPhee.